Sometimes the suffering we encounter in the world can feel overwhelming. The various crises and calls to action seem inexhaustible, and seem to point to deepening fissures in the fabric of our nation, state, and city. In these moments, when institutions inspire distrust, and civil discourse seems to be losing favor, we can find ourselves beginning to question what it means to live and participate in a democracy. To help us explore and address this question, we welcome Sarah Sayeed, a Special Advisor to Mayor Bill De Blasio’s Community Affairs Unit, to the Village Zendo. Sarah will share with us a “Guide to City Government,” a workshop around the basics of how to engage with local elected officials. She will provide us with the education we need to be able to play an active role in our local democracy. So often we don’t know where to start, or to whom we should turn when our communities are suffering and need assistance. Please don’t miss out on this invaluable opportunity to learn! Sarah Sayeed has served as the Director of Community Partnership at the Interfaith Center of New York, and taught at the School of Public Affairs at Baruch College. 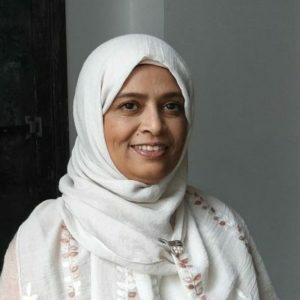 She serves as a Board Member for Women in Islam, Inc., and is a member of CUNY Dispute Resolution Center’s Advisory Group. She brings a breadth of experience and knowledge to her work with several Mayoral Offices and Agencies. She understands how government works, and how it’s intended to function accountably to the communities it governs.